Our office was founded in 1978 by Alice Davis Irani, a graduate of Wayne State University Law school, the University of Michigan, and Northwestern University. Alice built the practice as a sole practitioner. Dawn Wise began working for the firm in early 1998 and partnered with Alice in 2001. Alice retired in early 2004. We are grateful for the relationships she established and proud of the pioneering work she accomplished. Today, our office is built on relationships, ethics, detail, responsiveness, personal attention, and a focus on our values. We believe that each client deserves the same level of service. We are, in many ways, not a traditional law practice. We don't want to be big. Our size enables us to provide superior customer service at cost-effective rates. Our commitment to personal service is demonstrated from our welcoming atmosphere to our policy of returning all calls and e-mails within 24 hours of receipt. We recognize the importance of fast, reliable, and knowledgeable legal assistance. Our firm is committed to employing only highly-qualified and degreed support staff and we utilize the most sophisticated technology available in our field. We diligently monitor the constant changes in the law to ensure that clients are in compliance with the ever-changing immigration regulations. We also keep in constant contact with our individual employee clients so that they remain informed of the status of their case and nature of the legal process and its related consequences to their individual situations. We understand that accessibility to attorneys and support staff is the cornerstone of customer service. 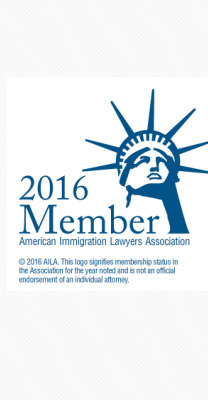 Our vast experience in employment- and family-based immigration issues, our impeccable ethical standards, and our commitment to prompt and personal service to both companies and individuals has earned our office an excellent reputation, both with our clients and with government agencies.